So, you once had documents which had to be stored safely but take up as little room as possible. At the time, the obvious solution was to store them on microfiche and microfilm, right? But times have changed and technology has advanced to the point where microforms like those are almost redundant. Today we're going to take a look at why scanning your microforms to digital format is now the superior solution for cost effective and space saving benefits. 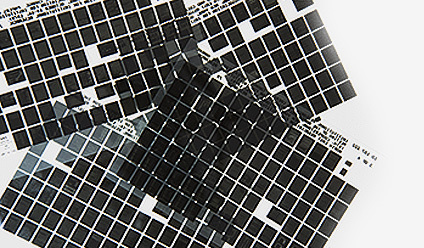 Keeping documents on microfiche and microfilm can incur a range of costs for various reasons. It is extremely expensive to create colour microfiche. Those that decide not to copy colour documents into colour microfiche will have to compromise greatly, especially those that rely on colour pictures etc. 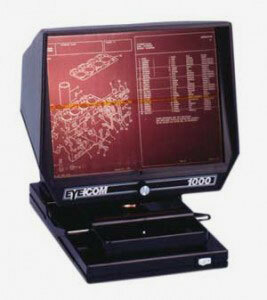 The only way to read what is on a microfiche is through a microfiche reader. Due to the reducing popularity of microfiche, it is getting increasingly difficult to come about microfiche readers, let alone purchase them. Although microfiche and microfilm take up a great deal less space than their paper copy counterparts, it is still necessary to store them together and safely. With a large amount, the storage costs could build up. As mentioned before, colour microfiche is very expensive. Whether you choose to use colour microfiche or not, the photos printed onto them can often be of very poor quality. If your document relies on its photos, the worst thing you could do is ruin the quality through microfiche. Microfiche readers are analogue systems and, as a result, they lack in features such as searching and with each copy, the quality degrades unlike with digital systems. You also cannot edit microfiche. Regardless of where you keep stored microfiche, there will always be a possibility of loss, theft, damage or misfiling. Not only does storage cost money, there is also the obvious disadvantage of the space it takes up. This space could be better used in more efficient ways. Microfiche storage did have its advantages in the past but as you can see, they no longer provide the best possible solution in the digital age. So what does? - Digitised microfiche only take up digital space, leaving you with more physical office space and no cost for storage. -Once the microfiche or microfilm have been scanned and fully indexed, they will be easier to find using a simple search of title, date or even content. - Storing digital documents will be much more secure than hardcopies and files can be encrypted for added security. - Documents can be accessed from anywhere at any time when the digitised documents are placed into a digital document management system meaning you can work more efficiently with the information on them. Overall, microfiche scanning is the way forward for any individual or business wanting to reap the extensive benefits. Pearl Scan offer a bespoke microfiche or microfilm scanning service which you can tailor to suit your needs. If you are interested in finding out more information about Microfiche Scanning and the services we offer here at Pearl Scan, get in touch today for a free, no obligation quote for your microfiche scanning project. Should You Buy a Microfiche Scanner? Where Can I Scan My Aperture Cards? Are Microfiche and Microfilm Still Used? Can Microfiche Images Be OCRd? Do You Really Need a Microfiche Machine? Microfiche Reader Review: Should You Buy One? What Type of Microfiche Do I Have?